Unlimited admission to the permanent and special exhibitions (unless otherwise specified) of museums under Leisure and Cultural Services Department (LCSD Museums) during the validity period of the Museum Pass. 10% discount on purchase of souvenirs and publication produced by Leisure and Cultural Services Department at museum gift shops/book shops (except Dr Sun Yat-sen Museum). Special offers at specific catering outlets in LCSD Museums. 10% discount on participation in museum extension activities solely organized by LCSD Museums (e.g. educational programmes). This discount is not applicable to fees which are already discounted under other concessionary schemes. From now to 31 July 2020, Museum Pass Holders can enjoy a 5% discount on Ocean Park "SmartFun Annual Pass". Visit Ocean Park website for details. From now to 31 August 2020, Museum Pass Holders can enjoy a discount of HK$60, HK$50 and HK$40 off the published price respectively for the purchase of Adult, Child / Student and Senior Magic Access of the Hong Kong Disneyland Park. Enquiries Hotline: (852)1-830-830. Terms and conditions apply. Visit Hong Kong Disneyland website for published price and detailed terms & conditions. Each Museum Pass admits the Pass holder only. Museum Pass holders must present the Museum Pass for admission to LCSD Museums. The Museum Pass is non-transferable. Museum Pass holders may be required to produce identity proof upon admission. The Museum Pass is neither returnable nor refundable once issued. Museum Pass holders may renew their Passes at any one of the LCSD Museums below upon expiry. 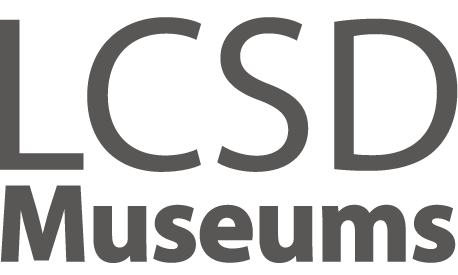 Museum Pass holders should comply with the Museums Regulation and house rules of LCSD Museums. All the privilege offers are not for re-sale, non-transferable, non-refundable and non-exchangeable, either in whole or in part, for cash or any other items. In the event of any dispute regarding these Terms and Conditions and all other matters relating to the privilege offers, the interpretation and decision of Leisure and Cultural Services Department shall be final and conclusive. Leisure and Cultural Services Department reserves the right to amend these Terms and Conditions or to suspend or terminate the privilege offers at any time without any prior notice. The charges for museum passes (annual) are $100 for family pass, $50 for individual pass and $25 for concessionary pass. Half-yearly, monthly and weekly museum passes are no longer available. "The Hong Kong Jockey Club Series: A History of the World in 100 Objects from the British Museum" (May to Sep 2019) at the Hong Kong Heritage Museum. ^ The Hong Kong Museum of Art is currently closed for renovation and is targeted to be re-opened in 2019. ^ The Hong Kong Museum of Coastal Defence is now closed for revamping its permanent exhibition and historical trail, and upgrading visitor facilities. It will be re-opened in 2020 to serve the public with a fresh look. During the closure, the museum will organise a rich array of outreach programmes. Please visit the website for more details. ＋Note: Full-time students or Museum Pass holders are eligible for free admission to the exhibition halls of the Hong Kong Space Museum. The Hong Kong Museum of Coastal Defence is now closed for revamping its permanent exhibition and historical trail, and upgrading visitor facilities. It will be re-opened in 2020 to serve the public with a fresh look. During the closure, the museum will organise a rich array of outreach programmes. Please visit the website for more details. The Hong Kong Museum of Art is currently closed for renovation and is targeted to be re-opened in 2019.